Over 5 million books sold! 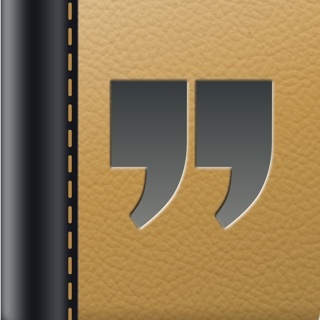 Now there’s an app! • Wall Street Journal bestseller! • Amazon.com #1 bestseller four years in a row. What happens to race car drivers when they eat too much? They get indy-gestion. 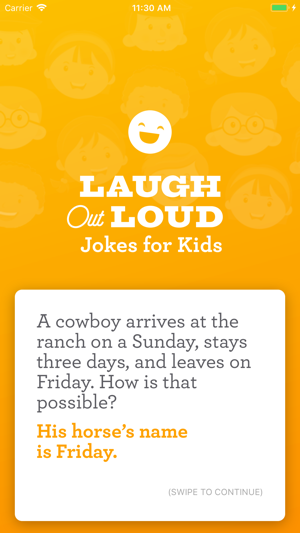 Laugh-Out-Loud Jokes for Kids App provides children ages 7-10 many hours of fun and laughter. Young readers will have a blast sharing this collection of hundreds of one-liners, knock knock jokes, tongue twisters, and more with their friends and family! This mega-bestselling book now in app form will have children rolling on the floor with laughter and is sure to be a great gift idea. 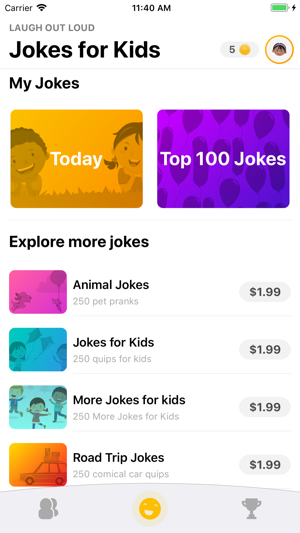 • Enjoy more than 1,000 jokes for kids with categories like Trending, Top 100, Christmas, Spooky, Knock-Knock, Animals, and more! Q: "Why did the cookie complain about feeling sick?" A: "He was feeling a little crummy." Q: "Why was the noise feeling sad?" A: "It was tired of being picked on." Q: "Where do trout keep their money?" 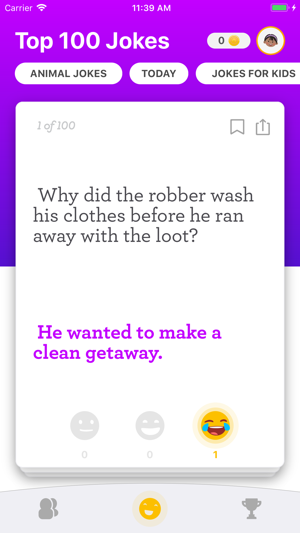 A: "In a river bank." 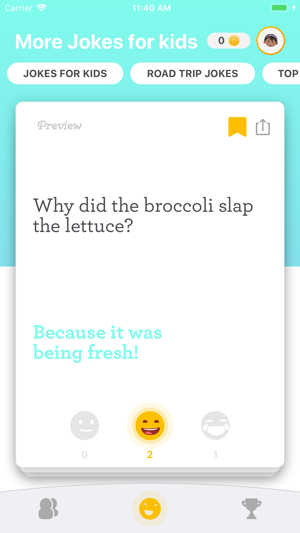 Great app to keep the kids entertained on road trips and they look forward to their daily joke every morning! 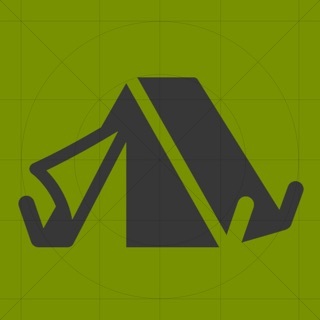 Thanks for using the app. We will be adding new jokes soon. Love this. My 4 year old is obsessed with jokes. 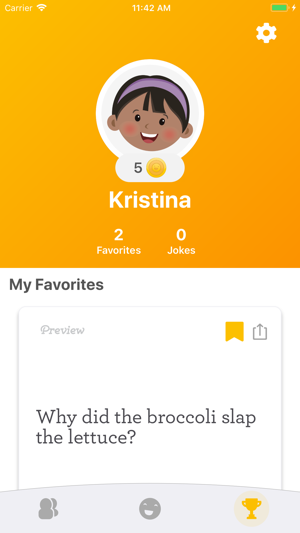 I do wish there were a feature for this to read the jokes aloud, since it is a kid focused app and not all kids are readers yet. Fun and great for kids! 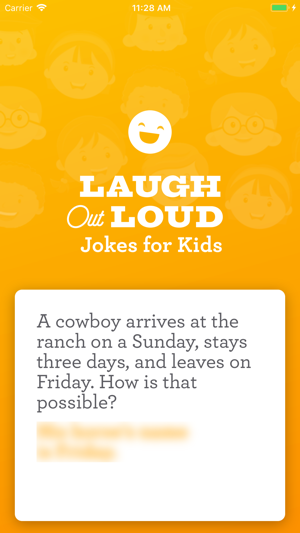 Perfect app for laughing with your kids! Keeps kids entertained forever!